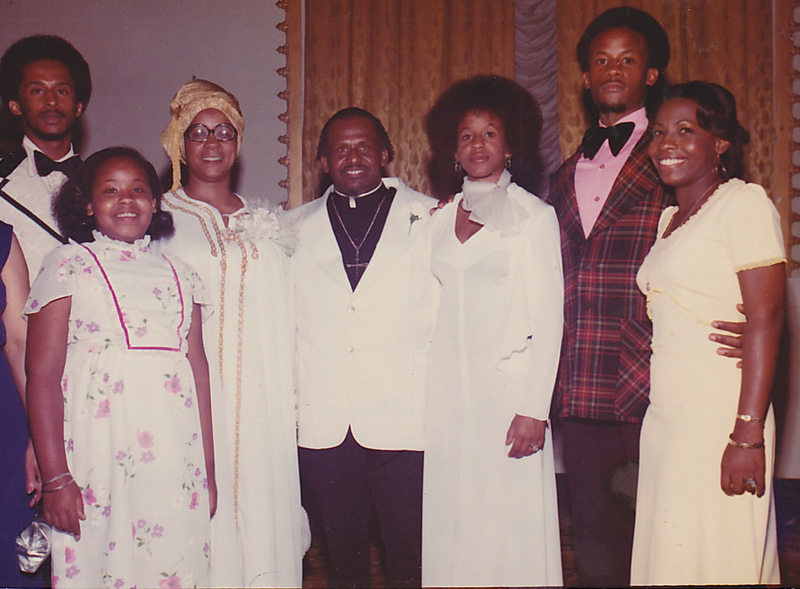 family | Delmarie Hines: My Journey. My Story. Delmarie Hines: My Journey. My Story. I celebrate my heritage because of my mother. My mother is proud of her Jamaican heritage. My parents’ deep love and loyalty to the land of their birth was palpable. They grew up in a Jamaica that was still a colony of Great Britain. Becoming American citizens took nothing from their love of Jamaica. To this day, Mom does not take kindly to any one speaking ill of the British Royal Family or Jamaica…especially if the person speaking is not Jamaican. Just hearing or seeing the word “Jamaica” makes her smile with great pride. She celebrated her heritage through her cooking, her clothing, her belief in hard work, her belief in strict discipline, her high standards of excellence, her British shaped grammatical rules, her beautiful accent, her dedication to help others, her love of the ocean, her traditional religious values and so much more. Jamaica was home…is home. We had an annual cookout at the house to celebrate Jamaican Independence Day. I cannot find the words to tell you how good the food was at this cookout. I would look up and see my friends from the neighborhood with a plate full of food. It was quite the event and EVERYONE was welcomed! Fellow Jamaicans would come from near and far to join in the weekend long celebration..some even came in their RVs! The weekend included LOTS of patois, sightseeing, rehearsals, cooking and eating, a cookout, so much laughter that my stomach would hurt, some serious dominoes matches and card games, stories of Jamaica and updates on friends and family still there, and a worship service on Sunday with many of the guests participating in the choir and other aspects of worship. It was held and the beginning of August and kicked off the family’s month long vacation for the month of August. I didn’t matter how tight money was, this cookout happened year after year. It was a celebration of family, friends, history, culture, God, and Jamaica (the pearl of the West Indies)! I knew the words to the Jamaican National Anthem and Pledge as well as I knew the American National Anthem and Pledge. Want to win my heart? Bring me a platter from Pimento Grill, a milkshake made with Sangster’s Rum Cream and have some Bob Marley playing! I was born in the US and I am proud of that but let’s be clear, there is nothing but Jamaican blood (with all the cultures and nations that come with it) running in my veins and I am equally proud of that. I celebrate my mother for passing on her pride in her heritage. Be our light through countless hours. Grant true wisdom from above. 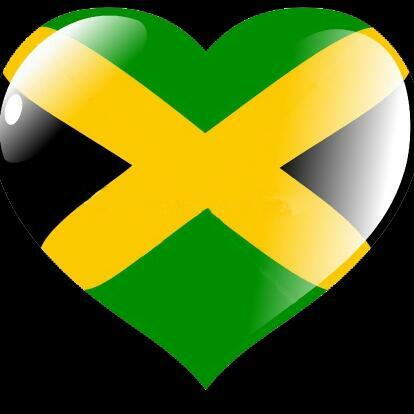 Jamaica, Jamaica, Jamaica land we love. Give us vision lest we perish. Before God and all mankind, I pledge the love and loyalty of my heart, the wisdom and courage of my mind, the strength and vigor of my body in the service of my fellow citizens; I promise to stand up for Justice, Brotherhood and Peace, to work diligently and creatively, to think generously and honestly, so that Jamaica may, under God, increase in beauty, fellowship and prosperity, and play her part in advancing the welfare of the whole human race. My mother taught me to celebrate the freedom and power of submission and surrender. Whew! Now let’s all breathe. Submission has become a word associated with weakness and antithetical to empowerment. My mother is many things but weak and lacking power are not words that anyone who has encountered her would use to describe her. So much so that when her nurse came to check on her she commented that mom is the strongest woman she’d ever seen. NOTE: Mom was asleep and was still exuding strength. My mother and I have had many discussions about submission and surrender. When you boil it all down to low gravy here’s what she taught me. Submission and surrender to God and her husband freed her to soar to great heights as a woman, as a Christian, as a mother, as a wife, as a leader in the workplace, as a professional, as my father’s partner in ministry. She made it clear that one cannot run around submitting and surrendering to everybody all over the place. There are levels to this thing! LOL She was submitted to God 1st and then she submitted to her husband who was also submitted to God. I believe the phrase was, “Submission to your husband is simplified if you and your husband are submitted to God and you are pursing God together.” The caution was always stay or run away from anything and anyone to whom submission and surrender equals pulling you away from God. Submission and surrender should increase intimacy with God. Now when you put it like that, it’s something that’s worthy of pursuit. Go ‘head Mom! Bring submission and surrender back! Is my mother a feminist? NOPE! My mother submitted to God and her husband and that set her free and gave her the power to soar! My mother taught me that intelligence and resourcefulness are aspects of beauty. Now don’t get it twisted. Mom was a Saks 5th Avenue, Neiman-Marcus, Lord & Taylor shopping queen. She liked to dress well and look good. She also made it clear that all of that was meaningless if when you opened your mouth there was nothing. Beyond that she made it clear that intelligence was not something you hoard. Intelligence should be used to serve others and increase your ability to be a resource in any and all environments. In talking about their days of courting, my parents consistently mentioned how large a role intelligence played in their attraction to each other. The look in their eyes when they talked about it made it clear that intelligence still played a big role in their marriage. They knew that they could rely on each other’s intelligence and resourcefulness. I grew up in that era where asking questions or not being able to answer a question often meant that one was about to spend some time with their head in the Encyclopedia Britannica (the actual books…no internet access back then). I remember doing research and preparing reports (written and/or oral/) on what I had learned. Once the report was shared with mom, she would often give me a big hug, a kiss, and then say, “That was beautiful, Miss Del!” Want to impress Mom? Be brilliant and look good doing it! Want to dazzle her? Apply what you had learned to help someone or to improve a system or process! Today marks 19 years since my father died. I still mark it as THE WORST day of my life…and my life has not been a bed of roses. I have never been ashamed to own the label “daddy’s girl” even now in my late 40’s. My role as a daddy’s girl is as present today as it was 19 years ago. My devotion to my father is the driving force behind my decision to serve as my mother’s caregiver. He loved her passionately and completely. As a daddy’s girl, it is my duty, since he is not here to do it himself, to take care of the woman he adored. I recently shared this thought with a friend of mine. At the time, I felt ashamed of feeling this way. Shouldn’t I be taking care of my mother just because she is my mother? Well, the problem with that premise is that Alzheimer’s has basically erased her role as mother from her mind. She knows my name, but RARELY knows that she is my mother. I am most often the lady that takes care of things around the house. At this point, it is at times painful for me to think of her as the woman that raised me. That woman had a bright and quick mind. That woman could juggle the priorities, needs, and wants of a husband, 4 children, a demanding career as a hospital administrator, and the many duties of being a pastor’s wife…Sam Hines’s wife. The woman I am caring for cannot do any of that. What she is, was and always will be though, is my father’s sweetheart. For that reason, even when she is agitated by the mere mention of the fact that she has children, she is treated with great love and care. It is also powerful that in the midst of every thing that Alzheimer’s steals from my mother it has not put a dent in these three knowings for her: 1) God is real; 2) She loved her husband; 3) Her husband loved her. Here is the painful part. My mother is at a point where I need to recommit to my commitment to take care of her, even if that means letting go of my role as her primary caregiver. I see this as also the final act of really letting go of my father. THAT’S THE PAINFUL PART. My grief, anger about my father’s death, and love of my father have defined me for almost 20 years. I am aware that being this lost in grief and anger is not what my father would want for me. This is not the way he would want my love for him to play out. He always wanted me to live my best life – a life submitted to God; a life in service to others; a life full of love, joy, laughter, and sacrifice; a life that allowed me to experience how big and great God is; a life where my gifts and talents are known, developed, and demonstrated. 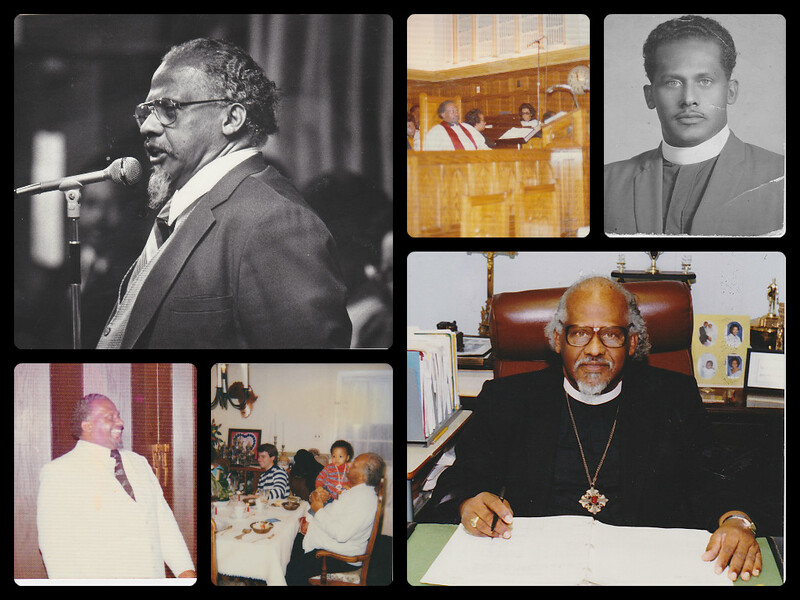 That is the ultimate life of a daddy’s girl…if your daddy was Samuel George Hines. I want to end this with the same words that were the last words I spoke to my father before he died. I LOVE YOU, DADDY.